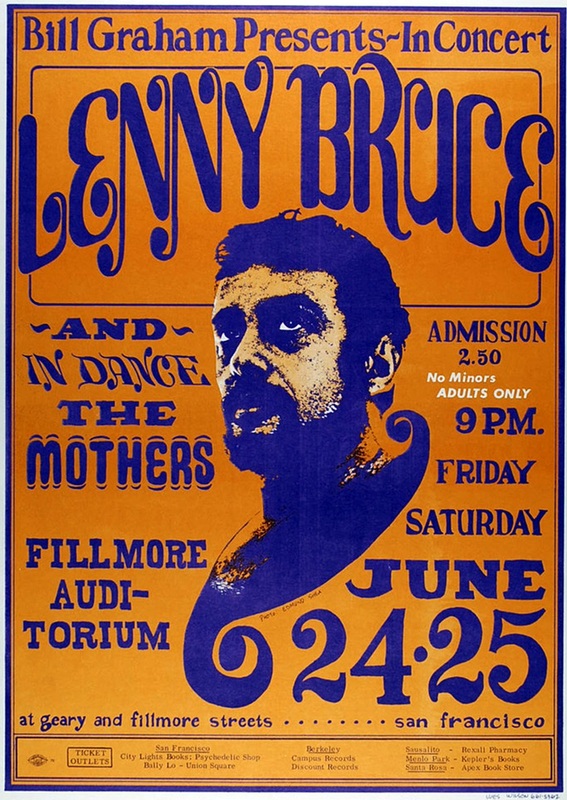 Today would have been the 91st birthday of comedian, First Amendment fighter and major jazz nut Leonard Alfred Schneider, better known as Lenny Bruce. 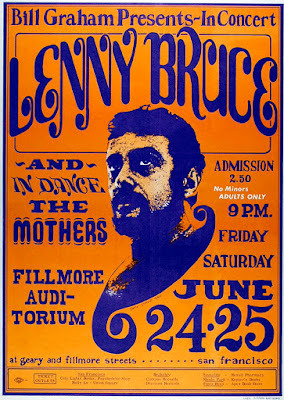 Lenny was a comic, not a musician. But his love for jazz led to some interesting musical collaborations. He even produced a television pilot (The World of Lenny Bruce) that featured performances by jazz stars of the day including Cannonball Adderly, Lambert, Hendricks & Ross and Buddy Rich (see clip below.) But, of course, none of the gutless prigs running the networks would touch any show hosted by a foul-mouthed lunatic like Lenny. Here is Lenny singing -- and doing some shtick with -- a bittersweet little song about loneliness. As promised, here's a clip from Lenny's TV pilot. "I feel from jazz," he declares as he introduces Buddy Rich.